A -Frame 3 Story Home says "Move Right In". Newer built than neighbors on the North Hill this 1986 custom design gives 3 Bedrooms on 2nd level (one is an Owner's Suite). Main floor gives separate Office, Living, Kitchen/Dining and entry to large Deck. Basement is unfinished adding instant equity with ample space for 4th Bedroom, Family Room & Workshop area. Don't miss 3 Bathrooms, "Tavern" & "Summit" upper level. 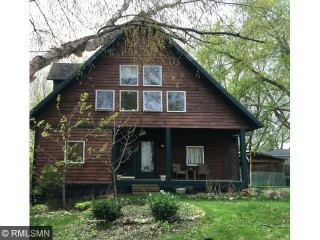 Home needs new roof, carpet & paint but priced accordingly to nestle in Stillwater.